Dynasty Warriors games have been generally successful for many years and through multiple console generations. Spinoff series, using the same basic gameplay elements, have had similar modest success, including Dynasty Warriors Gundam and Fist of the North Star: Ken’s Rage. Now, the beloved Legend of Zelda franchise has received a Dynasty Warriors makeover. Hyrule Warriors brings Link, Zelda, and other fan-favorite characters to the workmanlike Dynasty Warriors gameplay formula. My experience with the Dynasty Warriors series comes from playing a couple of the Gundam games, and the original Ken’s Rage. I realize this hardly makes me a Dynasty Warriors expert, but three games is plenty to understand what the series is all about. You fight dozens and dozens of weak foes, with a few tougher ones mixed in. Combat is simple and quite repetitive; were the combat alone the draw, the games would be failures. But the fighting is supplemented by the necessity of completing various missions around the battlefield. Various weapons and combos are unlocked as you progress between levels. All of it is accomplished while supporting split screen co-op. The formula isn’t exactly innovative, but it works. 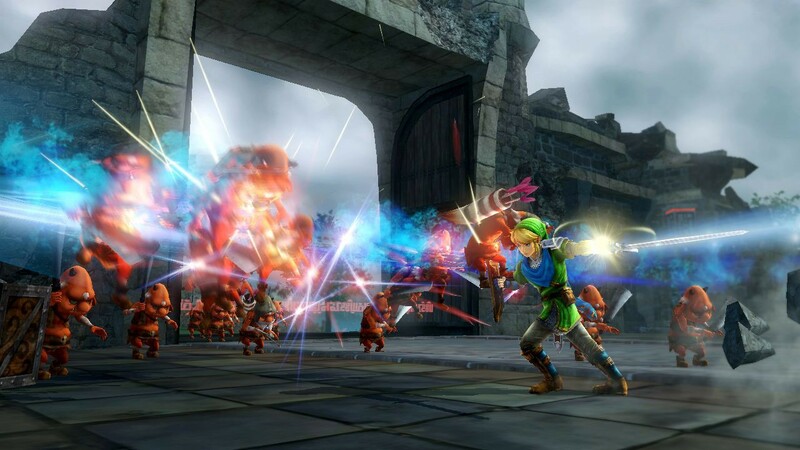 In Hyrule Warriors, the formula is given a Legend of Zelda makeover. 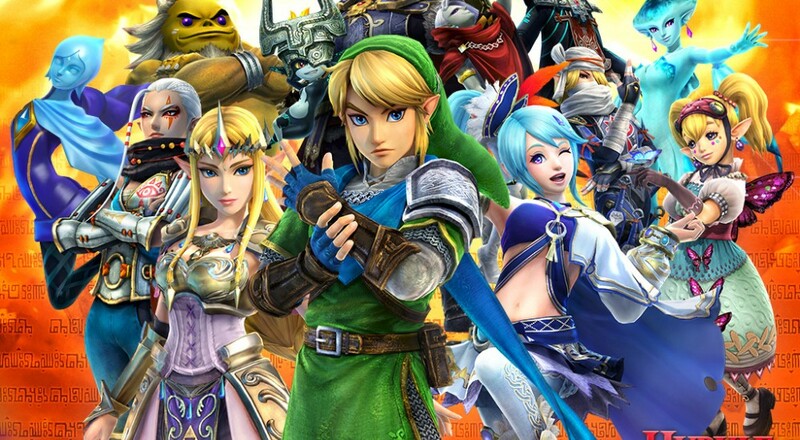 Make no mistake: Hyrule Warriors is, at its heart, another iteration of the Dynasty Warriors franchise. It is not a hybrid mixing elements of the two series into something entirely new and different. It’s simply Dynasty Warriors with Zelda characters in it. Some might find this disappointing, particularly Zelda purists who are anxiously awaiting the first main series Legend of Zelda game for Wii U. But if you can get past wanting Hyrule Warriors to be more than what it aims to be, there is quite a bit to like here, and it is a promising direction for the Dynasty Warriors franchise. Several different options are available for play. Most of your time will likely be spent in Legend Mode, the main campaign or story mode. You will play as a whole host of characters including Link, Zelda, Impa, Sheik, and others that I will not spoil here. The storyline itself is a bit forced, but that is necessitated by the need to get all those characters involved somehow. I would compare it to the storylines of various comic book crossovers I’ve read through the years; you are trading a tightly knit, cohesive storyline in exchange for seeing your favorites all together. There’s a bit of choice in which levels you play in what order, but not much. Overall, the different levels in Legend Mode are enjoyable. The designers did a nice job of keeping the levels distinct from one another, which is welcome considering the repetitive nature of the gameplay. The gameplay influences of the Legend of Zelda series are quite minor, but are still welcome. Familiar special items like bombs, arrows, the boomerang, and the hookshot can all be used while wading through hordes of bad guys. When large bosses appear, these weapons are necessary to exploit the weaknesses, which is a nice touch reminiscent of other Zelda games. You will also come across treasure chests containing new weapons or heart pieces, and can spend rupees to upgrade your abilities. That’s pretty much it as far as Zelda gameplay mechanics go.